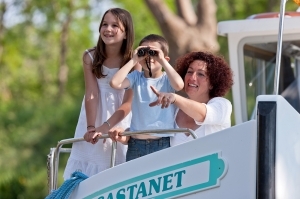 Locaboat has been a leading river boat holiday specialist in Europe for 36 years. Our wealth of experience means we can guarantee your holiday will be a success. The quality and homogeneity of our fleet of boats is what really sets them apart, especially our famous Pénichettes®: a combination of style, authenticity and comfort. You don't need any experience ! 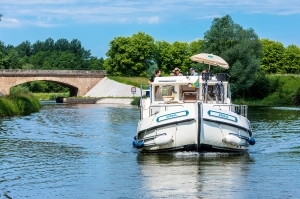 With Locaboat, hiring a boat and cruising have never been easier. Departing from our base in Mâcon, the lovely Saône flows to the Rhône and passes Tournus with its splendid Romanic abbey. 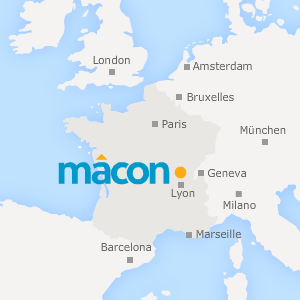 Your river cruise meanders around the gentle loops of the Saône until you reach Lyon. The hills of Fourvière and Croix-Rousse on the picturesque island Barbre create a marvellous entry port. Don’t miss the old town of Lyon, a UNESCO World Heritage Site.